By Charles Colson (assembled and edited from several sources). Colson served as Special Counsel to President Richard Nixon from 1969-1973. In 1974 he was convicted for his involvement in the Watergate cover-up. He was the first member of the Nixon administration to be incarcerated for Watergate-related charges, and served seven months in a federal prison. 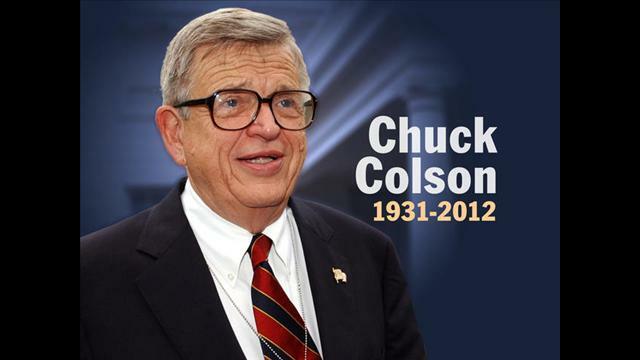 Colson became a Christian in 1973, and after his release from prison founded the non-profit ministry Prison Fellowship. For the next 38 years he was a respected evangelical Christian author and leader.